The Philippine Amusement and Gaming Corporation (Pagcor) is the state gaming regulator in the Philippines and is also responsible for running as 17 state owned casinos under its ‘Casino Filipino’ brand. Last month, the Philippine Department of Finance confirmed that it planned to sell all 17 owned Pagcor casinos as would commence the sale process in 2018. The Department of Finance did not want Pagcor to have the responsibility of operating public casinos and being the gaming regulator as there was a clear conflict of interest. Pagcor is also reported to run an additional 35 satellite casinos but it is not clear if these smaller casinos will also be sold as part of the privatization process. The Department of Finance will conduct a detailed audit for each of the 17 casinos to arrive at a sale price and then set up a bidding process. 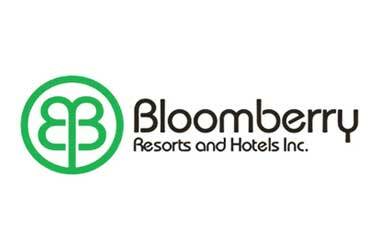 Bloomberry Resorts Corp recently announced that it is interested in acquiring some of the Pagcor owned casinos but wanted more clarity on the privatization process and bid amounts before deciding which casinos it would like to pursue. Bloomberry owns and operates the Solaire Resort and Casino in Manila and is currently in the process of developing a second casino in Quezon City. Construction on the Quezon City casino is expected to commence during the second half of 2018. The company also operates the Jeju Sun Hotel and Casino in Jeju, South Korea. Enrique Razon, chairman and chief executive of Bloomberry Resorts said that Macau casino operators could also be interested in acquiring Pagcor owned casinos and if that be the case, Bloomberry would compete with them to acquire these Pagcor owned gaming licenses. The Philippine billionaire also pointed out that a number of major casino resort licenses had been approved in recent times and this influx of casinos could result in market saturation and eventually end up in cannibalization. The government in the Philippines has encouraged casino developers to invest in the country over the past few years and as a result, the casino industry has grown rapidly. Pagcor announced that the casino industry would generate around $2.94 billion by the end of 2017, a slight increase when compared to 2016. The government had earlier stated that it would not approve any more casino licenses for Manila but other parts of the country would remain open for casino development.